The aim of the present study is concerned with the thermal loading due to laser pulse on thermoelastic porous medium under dual-phase-lag model DPL. The material is a homogeneous isotropic elastic half-space and heated by a non-Gaussian laser beam with the pulse duration of 8 ps. Eigenvalue approach is proposed to analyze the problem and obtain the analytical solutions of the displacement components, stresses, temperature distribution and change in the volume fraction field. The results of the physical quantities have been illustrated graphically by the comparison between the coupled theory, DPL model and Lord–Shulman theory of the certain value of time and distance. 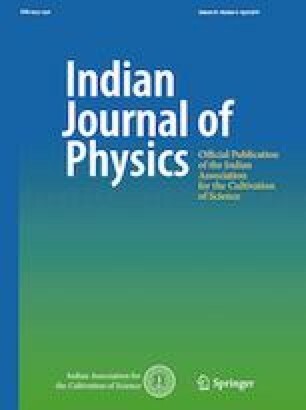 The results presented in this article should prove useful for researchers in material science (porous media), designers of new materials, physicists as well as for those working on the development of heat laser pulse practical situations as in geophysics, optics, acoustics and geomagnetic.